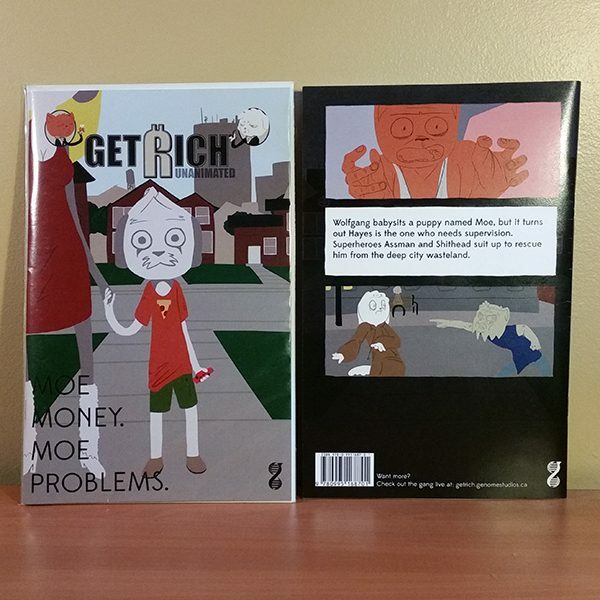 A printed copy of Episode 1 of Get Rich: Unanimated Series. Wolfgang babysits a puppy named Moe, but it turns out Hayes is the one who needs supervision. Superheroes Assman and Shithead suit up to rescue him from the deep city wasteland.